Three Things that Really Matter as Mr. Trump becomes President Trump. 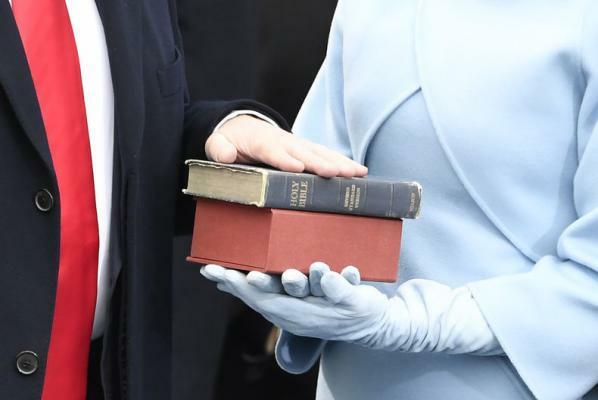 As Mr. Trump placed his hand on the Lincoln Bible to take the oath of office, millions around the country and around the world were anxious to know if the things that matter to them will matter also to President Trump. Given the diversity that is the hallmark of our great nation, and given the massive social disparities that exist in almost every sphere of American life, honoring such a pledge will be no easy task. How can President Trump - or any president - decide what matters most as he assumes the task of representing all Americans? For forty years our organization has been dedicated to building bold leaders for a just world. January 20 marks the beginning of an administration and for us, the start of a resistance to counter the forces of xenophobia, injustice, and racism and to stand in solidarity with those in the margins who will be hurt by many of the policies promised by the Trump administration. Attempts have been made by both parties to influence the courts “through the back door.” Withholding hearings for qualified nominees for partisan maneuvering, or seeking undue influence in elections through heavily funded efforts such as “Citizens United” are examples of “back-door influence” upon our system of justice. Justice is honoring democracy, the voice of the people. Justice is crafting a fair, compassionate, and reasonable immigration policy, fiercely protecting the rights of all citizens, regardless of religion, sexual orientation, economic station, color, or nationality. Justice is encouraging free speech and a free and independent press. Mr. President, justice matters intensely. Mercy. Our federal budget must be recognized for what it is - a moral document. Unlike a corporate budget whose prime objective is profit, the federal budget represents the judicious distribution of our treasure to benefit the common good. We have witnessed an unrelenting assault from forces on the political right that threaten to destroy access to health care, economic security, educational opportunity, and protections from unfair corporate practices that force an economic redistribution of the middle class to the top 1%. In short, the federal budget is being trip-wired to benefit the few at the expense of the many. Our mandate must be mercy on a massive scale. Not some bone-tossing, dignity destroying, cheap feel-good handout kind of mercy, but systemic, bold, committed, and faithful acts of courage worthy of our call as our brothers and sisters' keepers. Investments in human dignity, social strength, generative opportunities, are not handouts. They are investments wisely directed in service of the common good. As lobbyists for hundreds of special interests huddle outside the halls of power wringing their hands and licking their chops over the billions they stand to gain either for themselves or for those whom they represent, we pledge to stand with and speak out on behalf of the poor, the young, the ill, and the elderly of this nation. Mr. President, mercy matters intensely. Humility. Throughout history our greatest spiritual teachers – from Jeremiah to Jesus – from Lao-Tzu to Gandhi, have shown us that military might is no match to moral integrity. All the firepower on earth cannot atone for a nation’s moral failures in caring for one another, the environment, or our future. No longer can we move nonchalantly through life as though our presence makes no difference to others. Instead, we must move with humility, yes, but with purpose, courage, and grace. Mr. President, humility matters intensely. Our commitment is to promote pluralism, to practice what we preach through immersion, and to build effective power to effect change. Our new and expanded mission is rooted in these. You will hear more about this very soon, but today, together, let's begin our day of resistance by reminding President Trump and all in power that Justice, Mercy, and Humility are intensely important. After all, they did not originate with us, but are actually enshrined in the very book upon which the President placed his hand today. And what does the Lord require of you but to do justice, love mercy, and walk humbly with your God? (Micah 6:8).